Most game consoles do not support WPA or WPA2 with enterprise encryption. Because of this, devices will need to be manually registered on start.rit.edu and connected to the open "RIT-Legacy" wireless network. If you do not find your specific game console below, please reference the manufacturer instructions to find the MAC Address of your device. Once you have this, follow the Manual Registration instructions. The Nintendo Wii will not connect to any RIT-provided wireless; there is an open case between Cisco and Nintendo to resolve this exact issue. In the meantime, Nintendo produces a wired Ethernet adapter that will work on the RIT wired network. On the second page find the fourth option "Internet" then go under "Console Information"
This screen should have a line with "USB Ethernet Adapter MAC Address" or "LAN Adapter MAC Address". Once you have the device MAC address, you will need to perform a Manual Registration. 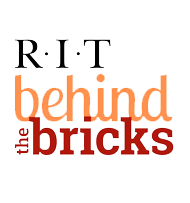 After you add the device to your account, power down the device for approximately 20 minutes and then try connecting to the RIT wired network. ​Once you have the device MAC address, you will need to perform a Manual Registration. After you add the device to your account, power down the device for approximately 20 minutes and then try connecting to the wireless network "RIT-Legacy". If you have a LAN wired adapter compatible with the Wii U, perform a Manual Registration using the LAN wired MAC address of the console in order to connect to RIT wired internet. Locate your MAC address under "Connection Status"
Once you have the device MAC address, you will need to perform a Manual Registration. After you add the device to your account, power down the device for approximately 20 minutes and then try connecting to the wireless network "RIT-Legacy". The Nintendo Switch is compatible with USB LAN adapters with the AX88772 or AX88179 chipset. If you have a USB LAN adapter compatible with the Nintendo Switch, perform a Manual Registration using the USB LAN adapter's wired MAC address in order to connect to RIT wired network. After you have connected to the RIT network, select the correct network and select "Test Connection"
The system should display "Connection test was successful." ​Once you have the device MAC address, you will need to perform a Manual Registration. If you receive a message when attempting this that your device could not be found on the network, this is due to an issue with the way Nintendo has conigured networking on the Nintendo 3DS. Please contact ITS Resnet using the information on the right, and we will be happy to help you register your Nintendo 3DS manually. Please have your MAC address ready when you call. After you add the device to your account, power down the device forapproximately 20 minutes and then try connecting to the wireless network "RIT-Legacy". Your MAC address will be displayed on this screen. Once you have the device MAC address, you will need to perform a Manual Registration. After you add the device to your account, power down the device for approximately 20 minutes and then try connecting to the wireless network "RIT-Legacy" or to the RIT wired internet if you are connected via ethernet. This page will display your devices MAC address. If you want to connect to RIT wired internet, perform a Manual Registration using the LAN wired MAC address of the console. From the home screen, go to the Settings tab​. Select System icon inside of the settings tab. Select "RIT-Legacy" from the Available Networks. Select the Additional Settings tab and hit Advanced Settings. Your MAC address will be listed towards the bottom of this page. This address will be used for registration. If you want to connect to RIT wired internet, select "Wired Connection" from the "Network Settings" page and repeat the steps above in order to get the wired MAC address. Perform a Manual Registration using the wired MAC address, power down the device for approximately 20 minutes, and then try connecting to the wired RIT network.